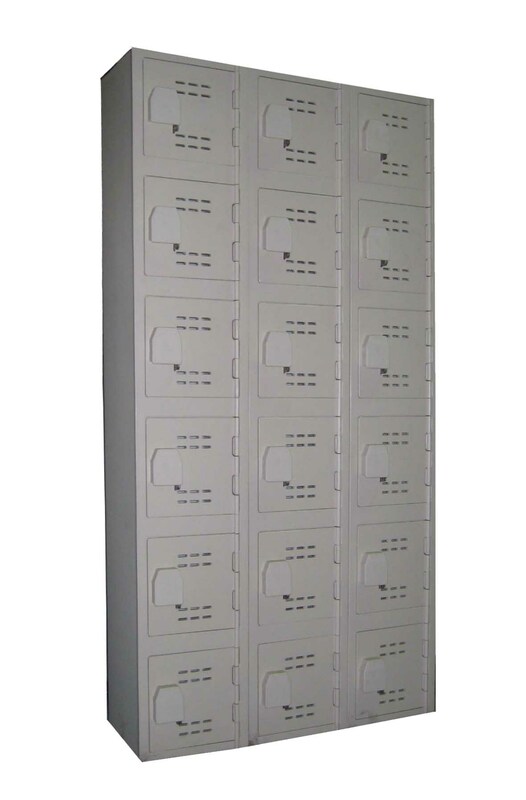 These Brand New Wood Cell Phone Lockers are available on www.buyusedlockers.com where they have a huge selection to choose from if we need additional supplies. 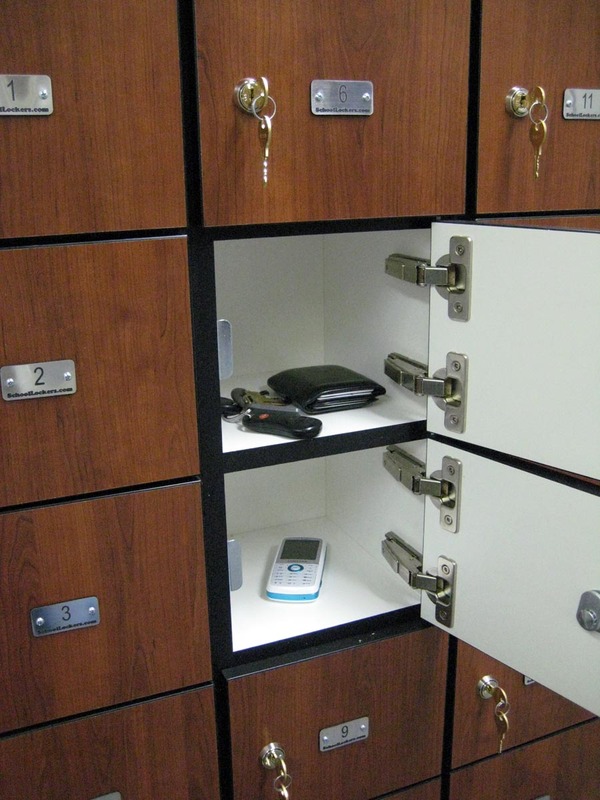 Wood Cell Phone Lockers for sale. 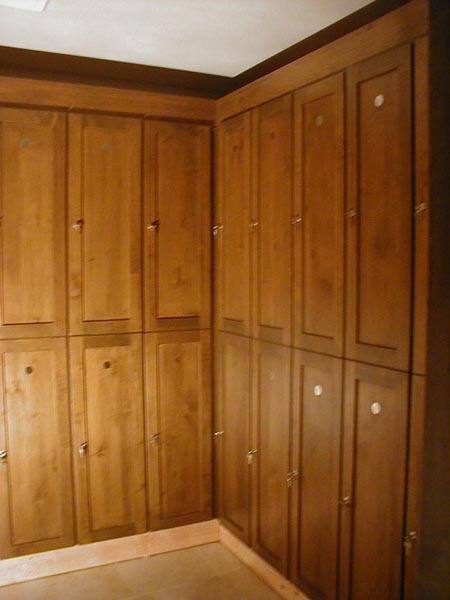 This beautiful cabinet includes 15 that are 7.5" wide x 8.5" deep x 6" high. 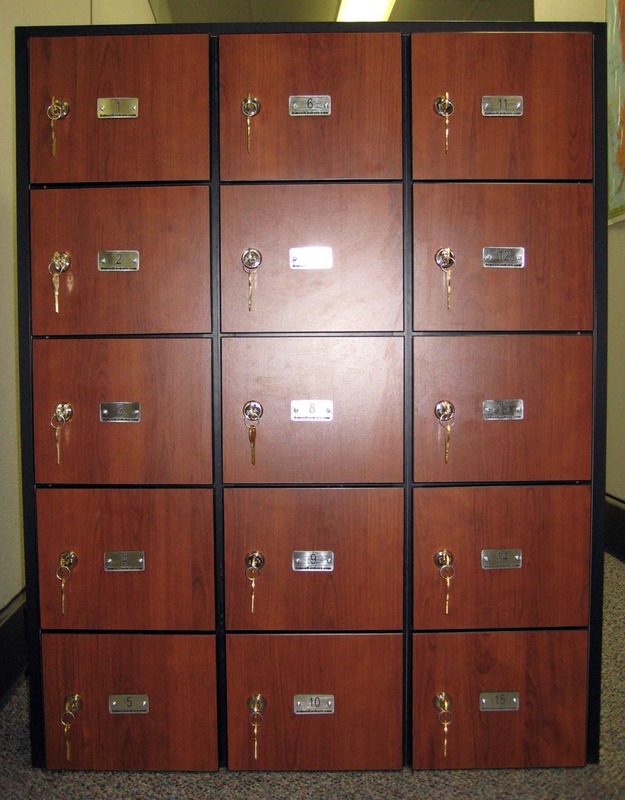 Each compartment has a built in key lock that comes with 2 user keys; 1 master to operate all of the locks in the cabinet is also included for administrative access. 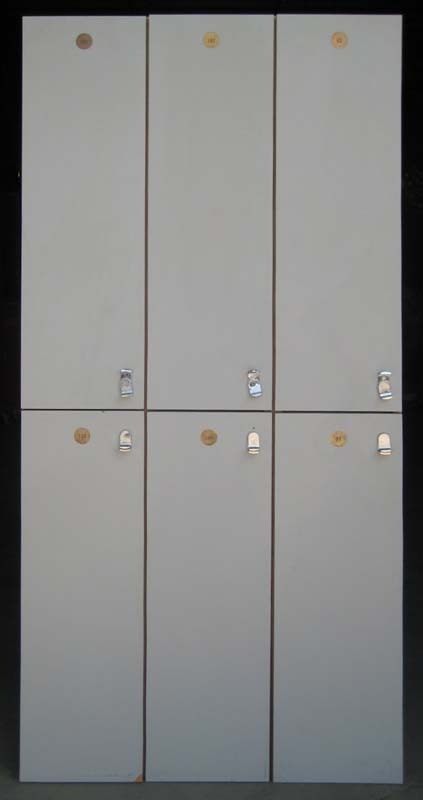 Overall dimensions of the wood cabinet are 28.25" wide x 10.5" deep x 36.5" high, it can be placed on the floor or a shelf or even attached to a wall. 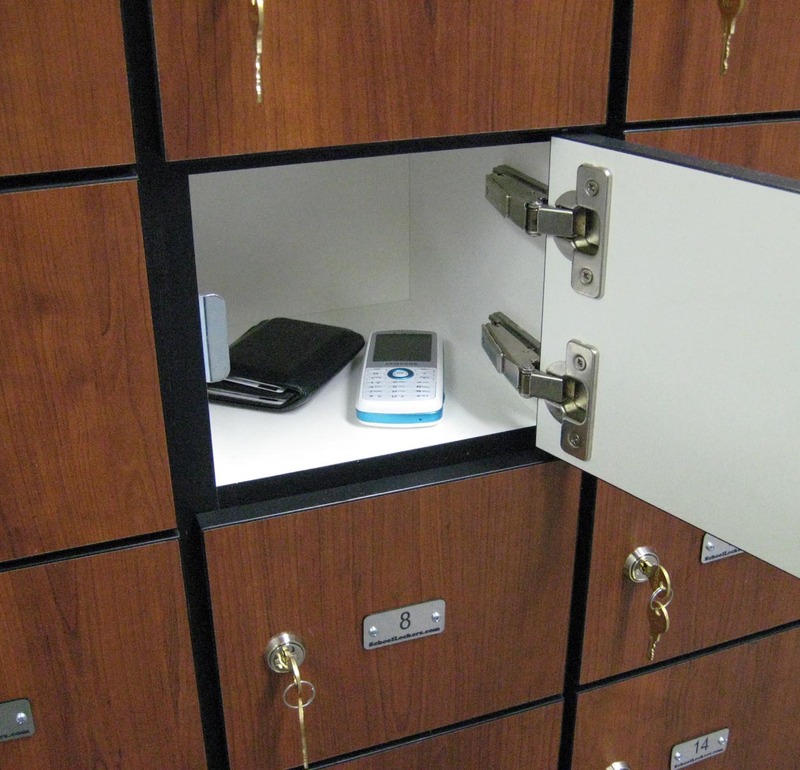 Big enough to hold a few personal items such as cell phones, wallets, keys, purses, PDA devices and MP3 players without taking up a lot of space. 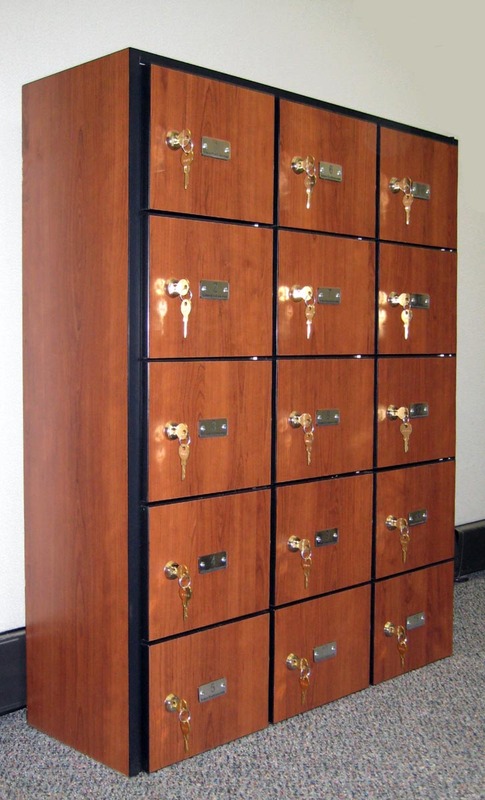 This style of wooden cabinet is often used in schools, military bases, hospitals, country clubs, gym facilities, work places, etc. Available in four "quick ship" colors of black, dark, medium and natural and include a finished look on the front, sides and top. 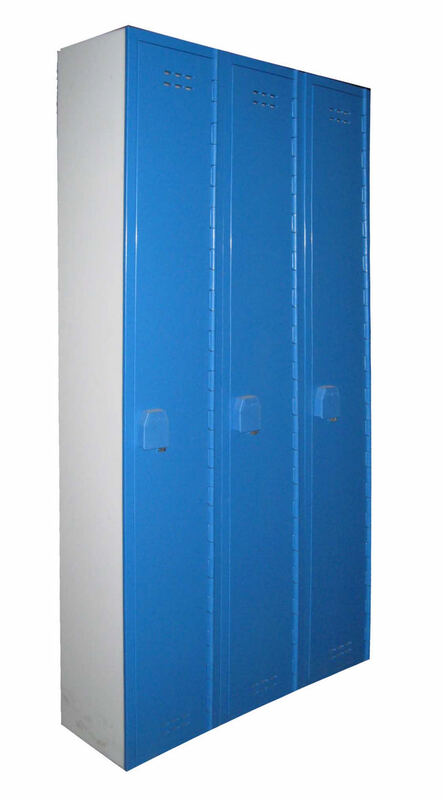 Fully customizable; other materials and sizes available upon request. Call one of our specialists to learn more at 1-877-952-0151.